BERLIN, Germany (19 May, 2018) – The world needs more corporates, investors, cities and countries to adopt innovative clean energy technologies and business models that can dramatically reduce carbon-dioxide emissions. Energy Ministers from more than 20 countries, representing 90 percent of global clean energy investments and 75 percent of global greenhouse gas emissions, will meet on 21 May in Sweden at the 3rd Mission Innovation Ministerial (MI-3), and on 22 May at the 9th Clean Energy Ministerial (CEM9) in Denmark. Stefan Henningsson, senior advisor on climate, energy and innovation for WWF-Sweden, said ministers must seize the moment to act decisively to speed up the transition to a low carbon future to help the world avoid the worst impacts of climate change. This event is an opportunity for energy ministers to align with the goals of the Paris Agreement. 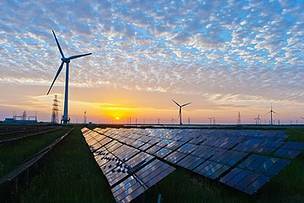 Mission Innovation countries must take stock on their commitment from COP21 to double public clean energy R&D investment over five years, he said. Host a Climate Solver Nordic launch to highlight five innovations from Nordic start-up community with early stage commercial offers that possess the highest positive climate impact potential. Award the Swedish winner in WWF’s global city climate leadership competition, the One Planet City Challenge, at a Global Covenant of Mayors event to be held in the Malmö City Hall on 23 May. Interact with key stakeholders at the event to prepare for launch of an avoided emissions evaluation framework for innovation portfolios, helping to identify the startup innovations with highest potential positive climate impact. Mission Innovation countries are natural in picking up, redeveloping and spreading these tools further in a joint framework aiming to amplify impact at scale. It is of particular importance with efficient global matchmaking of our highest impact innovations from the startup community with global actors from corporate, city and public/private finance community. Co-organize a Talanoa Dialogue around cities, innovation and investments to speed up the adoption of important innovations, create momentum for climate action plans and target setting for cities as well as raising city investment as an important component in national investment plans and Nationally Determined Contributions. The outcomes of the discussion will be captured in a joint submission to the UNFCCC’s Talanoa Dialogue portal. WWF will participate in Global Forum on Energy Efficiency (EEGlobal 2018), taking place on 21-22 May in Copenhagen. WWF has partnered with Mission Innovation, the European Commission, the Swedish Energy Agency, Business Angels Network Deutschland (BAND), Almi Invest, the City of Malmö, the Swedish Incubators and Science Parks, and UN Habitat for the events at CEM9 and MI-3. The largest obstacle for scaling up innovation startups is the bottleneck in public and private financing, according to WWF’s research. There is money available, but the difficulty lies in finding and collaborating on scaling up the most promising solutions. Mission Innovation provides an excellent opportunity to create a better understanding in the finance value-chain of innovation for entrepreneurs, public/private investors, corporates and financial sector. It can help build momentum on energy accelerators with regional mandates to cooperate across borders in global accelerator networks. It can also help to strengthen national innovation ecosystems support for climate and energy innovation. A supplementary report to the Global Cleantech Innovation Index for Sweden’s strengths and weaknesses in the innovation ecosystem will be made available at MI3/CEM9. WWF’s One Planet City Challenge invites cities across the world to disclose their baseline, commitments and action plans for development in line with what is required to meet the objectives of the Paris Agreement. So far, more than 400 cities from five continents have participated in the challenge. The 2018 winner will be announced at the Global Climate Action Summit in California in September 2018. Wind turbines are a major source of clean energy.